Apple always emphasizes in their press releases and media interviews that their WWDC 2011 conference set on June will be about the future of Mac and famous iOS and iDevices. This, of course, gives an impression to techie people that Apple will not be releasing their new iPhone 5 until WWDC conference is finished. 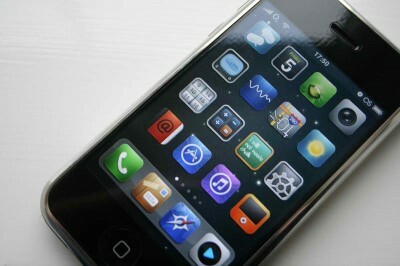 With rumors coming from different perspective not stopping, speculations say that Apple may release iPhone 5 in fall or even in 2012. Moreover, a lot of people think that the big “A” will break its tradition of releasing updates every year. But as much as these speculations rise, thousands (if not millions) of people hope the most awaited release would be sooner. “The focus will be on software at WWDC this year,” Apple confirmed. This week, the most discussed Apple rumors are the new features of the upcoming iPhone 5 such as social capabilities and cloud music storage. WWDC is usually perceived as Apple’s way of making buzz of their new products soon to be released, thus, it is logical people would think new macs and iPhones will be released after the conference this year. But it’s not happening according to Jim Dalrymple of The Loop; Dalrymple has a good reputation of having good sources inside Apple and his reports is always almost accurate. Aside from Dalrymple’s sources saying that WWDC will be just a preview of the new iPhone 5, a blog also confirmed it that Apple’s delay for this release would even reach up until 2012 which is a way, way too long to wait. However, it may also be true as Apple said they will be giving developers enough time to update their apps for the new device. There is a great possibility that if Apple will not release iPhone 5 on WWDC or shortly after, fall will be quickest time for such release together with iOS 5 preinstalled. At least, that’s what a separate rumor says. Moreover, the company will never miss the holiday where it can definitely make higher sales, so techie pundits will not have to wait until 2012 to get their hands on the new iDevice. Beside this iphone 5 rumors, internet just spreading out the other apple rumor. The rumor is talked about ipod touch 5th generation launch date.